The iPhone 6S and iPad Pro are cool and all, but the Apple gadget that I was most looking forward to this fall was the new Apple TV. It is, quite notoriously, the device that Apple has most publicly neglected over the years. Its last big update was way back in 2012, when Apple finally added 1080p support. 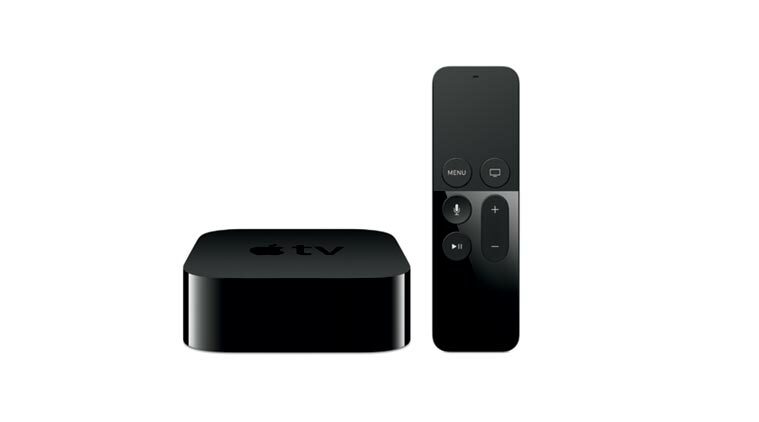 And even that third-gen Apple TV wasn’t too exciting, since it looked exactly the same as the one released in 2010. So yah, it was about time Apple totally rethought its approach to TV. Everything about the new Apple TV feels different: The device itself looks like two of its predecessors stacked together. On the rear, there are HDMI, Ethernet and USB-C ports (sorry, optical audio fans). Instead of the minimalist silver remote Apple has relied on for years, it sports a larger wireless remote that looks like a strange combination of iPhone and MacBook design. There’s a touchpad on top that feels about as smooth as a MacBook’s touchpad, and the bottom half is covered in glass, reminiscent of the iPhone 4. It has buttons for voice search, “Menu” (which mostly serves as a back button), and “Home,” as well as play/pause and volume buttons (which controls volume on your TV or receiver over HDMI). At this point the app store has most of the popular offerings from the last Apple TV, along with a plethora of games and a handful of apps that show off entirely new experiences. When it comes to maneuvering around tvOS, the new remote is a dream. That Siri Remote has a touchpad, mic and Wiilike motion controls built in, necessary for Siri to search across “multiple content options” (iTunes, Netflix, Hulu, HBO and Showtime, with more to come) on a single screen. Universal search is a feature already offered by competitors like Roku, Samsung, Amazon and Xbox that makes it easy to find a show or movie without having to know which service or app it’s in first, and now it’s on Apple TV too. There are two versions of the new Apple TV: a 32GB model for $149, and 64GB model for $199, available now at Apple.com or at your local Apple Store.